News Analysis: ‘Mission Accomplished!’ But What Is the Mission in Syria? ‘Mission Accomplished!’ But What Is the Mission in Syria? Photo President Trump at the White House on Friday. Mr. Trump tweeted “Mission Accomplished!” the morning after the attacks in Syria. Credit Tom Brenner/The New York Times WASHINGTON — On the morning after, President Trump declared success. 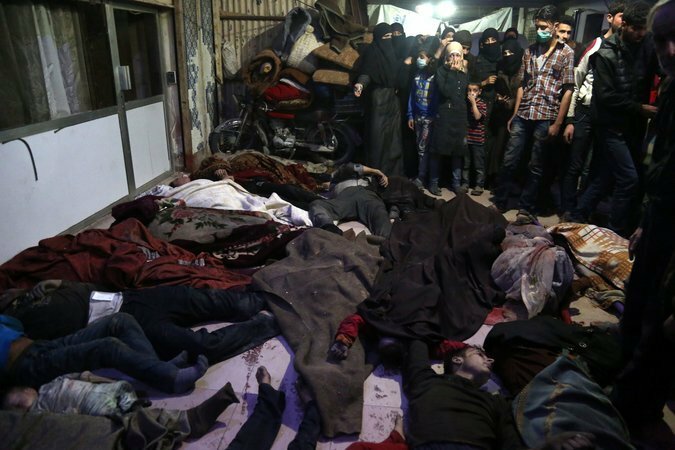 The surgical strike against chemical weapons facilities in Syria had been executed perfectly, he said on Saturday. “Mission Accomplished!” he wrote on Twitter. For most of Mr. Trump’s presidency, it has been to defeat the Islamic State and then get out. But what Mr. Trump outlined in his televised speech to the nation on Friday night was something more complicate.. The US-led missile attack against Syria demonstrates Washington’s complete disregard for international law, and its timing, before a proper investigation was conducted, raises serious questions, experts told RT. 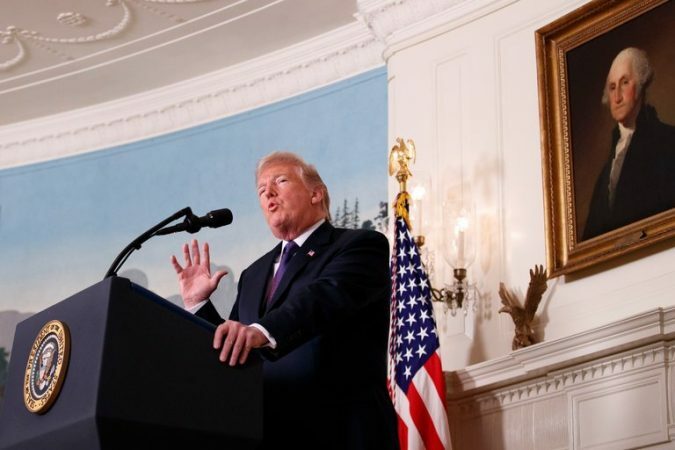 From One Attack in Syria, a World of Potential Risks Photo “No amount of American blood or treasure can produce lasting peace and security in the Middle East,” President Trump said in his statement announcing the airstrikes. “It’s a troubled place. 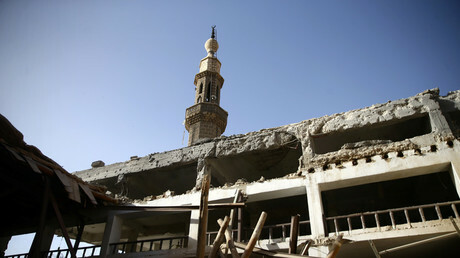 We will try to make it better, but it is a troubled place.” Credit Tom Brenner/The New York Times BEIRUT, Lebanon — For the second time in just over a year, President Trump, in sending missiles crashing into Syrian military targets, added American firepower to one of the most complex and multisided conflicts in a generation. 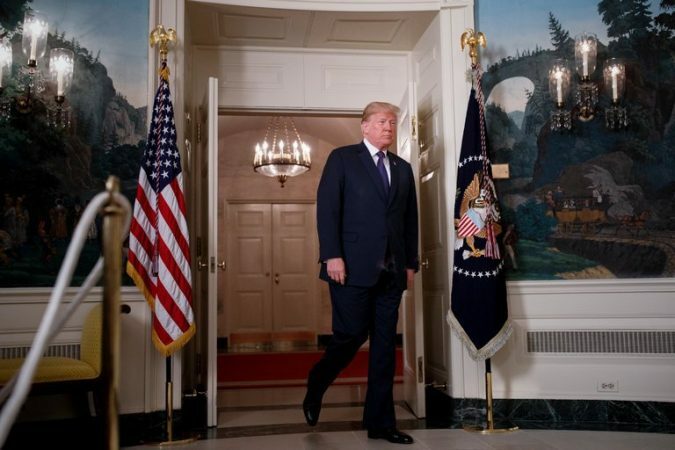 One immediate question was whether the strikes could actually accomplish the stated goal of diminishing Syria’s capacity to make and use chemical weapons. 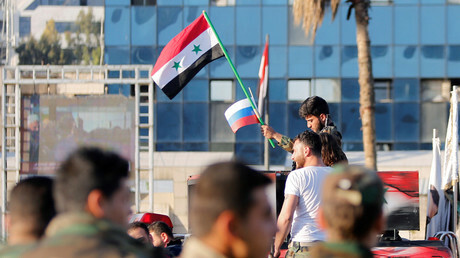 But the new strikes also posed the risk of drawing the United States even more deeply into a conflict in which Russia and Iran — who warned Mr. Trump not to intervene — have more invested than ever in keeping President Bashar al-Assad in power. 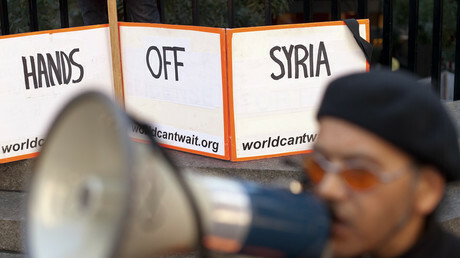 The strikes hit Syria be..
International bodies are scrambling to meet in the wake of the US-led strike against Syria, which was conducted without a UN mandate, just hours before the OPCW was to begin its on-site inquiry into the Douma gas attack. A fact-finding mission by the UN’s chemical weapons watchdog will continue in Syria despite airstrikes carried out on the country hours earlier by the US, UK, and France. 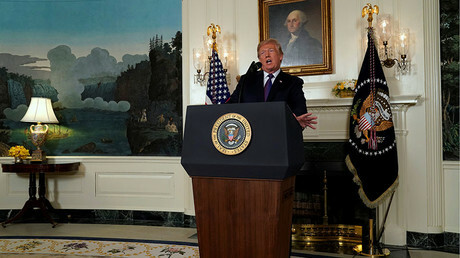 U.S., Britain and France Strike Syria Over Suspected Chemical Weapons Attack Video Trump Announces Airstrikes Against Syria In an address from the White House, President Trump said the United States and European allies sought to punish Syria’s president for a suspected chemical attack. By U.S. STATE DEPARTMENT on Publish Date April 13, 2018. Photo by Tom Brenner/The New York Times. Watch in Times Video » embed WASHINGTON — The United States and European allies launched airstrikes on Friday night against Syrian research, storage and military targets as President Trump sought to punish President Bashar al-Assad for a suspected chemical attack near Damascus last weekend that killed more than 40 people. Britain and France joined the United States in the strikes in a coordinated operation that was intended to show Western resolve in the face of what the leaders of the three nations called persistent violations of international law. Mr. Trump characterized it as the beginning of a sustained..
Not all US lawmakers have welcomed the “illegal” strike on Syria ordered by President Donald Trump that was allegedly in retaliation for a staged chemical attack in the suburb of Damascus last week. 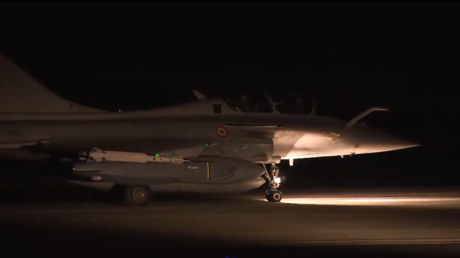 The French presidency has released footage of military planes taking off for Syria. The video comes hours after Emmanuel Macron announced the strike on Damascus, along with the US and the UK. 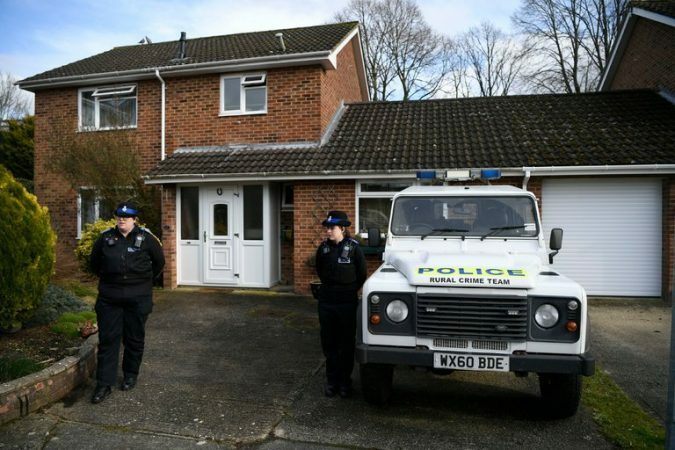 ‘Special Units’ in Russia Were Trained in Ways of Skripal Attack, U.K. Says Photo The house in Salisbury, England, where Sergei V. Skripal lives. Agents say that the nerve agent with which he was poisoned was most likely applied to the home’s door handle. Credit Neil Hall/EPA, via Shutterstock Russia has been researching the application of chemical agents to door handles as a way to assassinate its enemies, and has been training personnel “from special units” to carry out such attacks, said Mark Sedwill, Britain’s national security adviser, on Friday in a letter to the secretary general of NATO. Mr. Sedwill’s letter, the most detailed account of British intelligence on the subject to be shared with the public to date, also revealed that President Vladimir V. Putin of Russia was “closely involved in the chemical weapons program” beginning in the mid-2000s. During that period, the letter claims, Russia was secretly developing the nerve agents known as Novichok that British officials say ..